James Choice & The Bad Decisions: Video Launch, Comedy & Magic! James Choice & the Bad Decisions and The Loft happily present an evening of Music, Live Comedy and Magic! 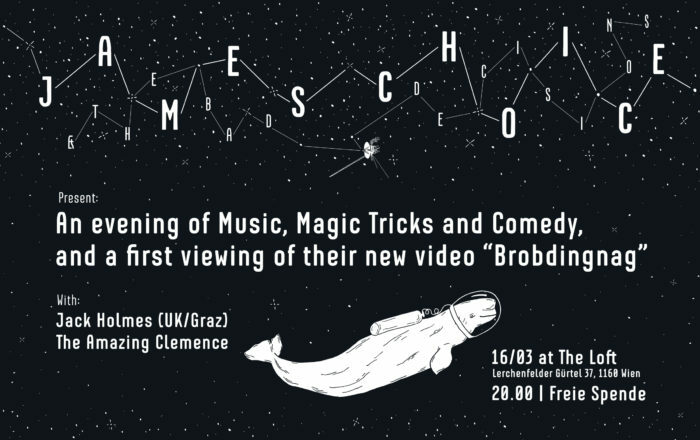 There will also be a first viewing of the new music video from JC&TBD, ‚Brobdingnag‘. LIVE MAGIC TRICKS from the amazingly Clemence! Savagely dark standup comedy from the South West of England via Graz.